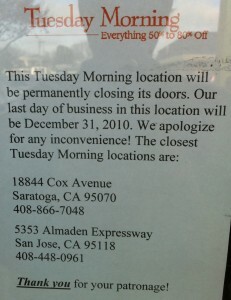 Oriental Sushi Buffet’s lease was not renewed so they’ve been gone since December. Toys R Us is closing. An employee told me that the property owner sold the land. There’s a new BBQ spot, South Winchester BBQ, that went in after Mikasa Grill left (which was after Winchester Chef left). Saturday, June 11th is the Recycling Collection Day which benefits the Lynhaven Neighborhood Association. Located at the International Christian Center’s parking lot, it runs from 9 am – 3 pm. They are using GreenMouse Recycling. Including electronics, they also take microwave ovens, small applicances, and scrap metal. The International Christian Center is located at 3275 Williams Road, close to Eden Avenue. The Breakfast Place restaurant has opened at 3132 Williams Road at the corner of South Winchester Boulevard and Williams Road. Hidden behind Mizu Sushi in the Grocery Outlet complex, The Breakfast Place is open for breakfast and lunch from 6 am to 2:30 pm. 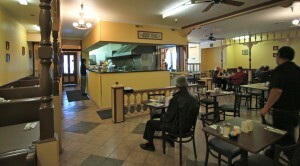 The menu offers a wide range of American and Mexican options. The breakfasts include American favorites such as bacon, eggs, toast, sausages, sausage patties, omelets, yogurt, cereal, french toast and more. Mexican options include chilaquiles, huevos Mexicanos, and quesadillas. Lunch options include a wide range of sandwiches, hamburgers, and salads. There is also a kids and seniors menu. 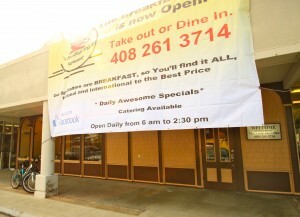 The Breakfast Place opened on February 19, 2011. 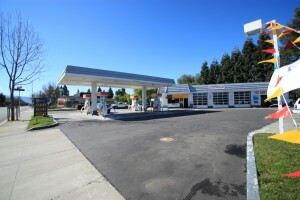 Closed since November 2009, the Shell station at 1025 South Winchester Boulevard at Williams has re-opened in the last month. 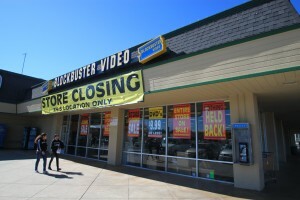 The Blockbuster location at the corner of Winchester and Payne is closing soon. The video retail outlet at 1303 South Winchester Boulevard joins several other businesses at West Park Plaza that are closing or have closed. 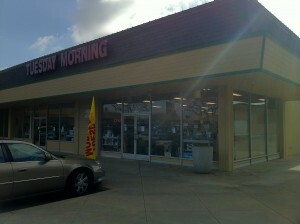 At the end of 2010, the Tuesday Morning discount retailer closed, and the Safeway is slated to close in early April. The new GEN Japanese Cuisine never opened. Oriental Sushi Buffet is now open at the old Crazy Buffet location at 780 South Winchester Boulevard. South Winchester News first noticed the Grand Opening on Saturday, February 4th. During the Grand Opening, diners can enjoy a 20% discount. 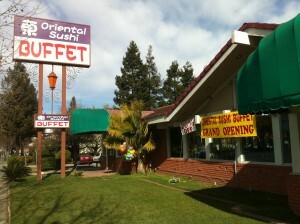 Oriental Sushi Buffet joins a growing number of Japanese restaurants on Winchester Boulevard. 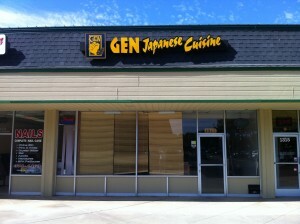 There are about 8 different Japanese restaurants between Stevens Creek Boulevard and highway 85. Before being Crazy Buffet, the location was a Marie Callander’s. 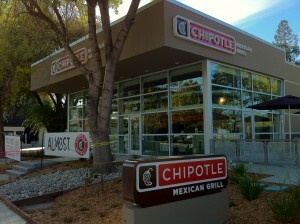 The new Chipotle Mexican Grill at 369 South Winchester Boulevard has opened. Located across from Santana Row and beside Kãama Lounge, this location was a shuttered Burger King for the last dozen years or so. The original Burger King building was demolished. Game Place has finally opened at First Century Plaza near the Century 24 movie theatre at 747 South Winchester Boulevard. Under construction for over a year, the video game retail store finally opened on Sunday, November 7. Employees who spoke with the South Winchester News cited problems getting permits from the City of San Jose for the long delayed opening. They had hoped to open before Thanksgiving last year. 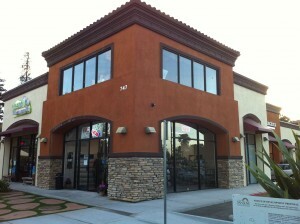 Game Place has three additional locations in southern California. In addition to selling video games, they deal in trading and selling of used video games and they repair Xbox 360, PS3, PS2, Nintendo Wii, DS Lite and PSP video game consoles. They currently have a 10% off all video games sale.